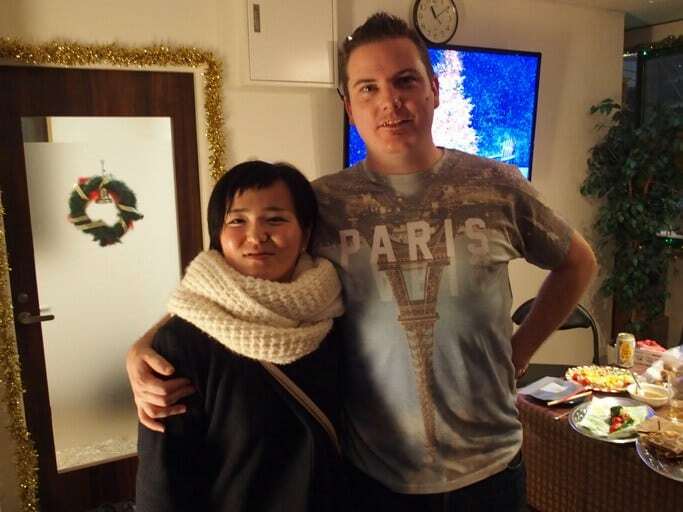 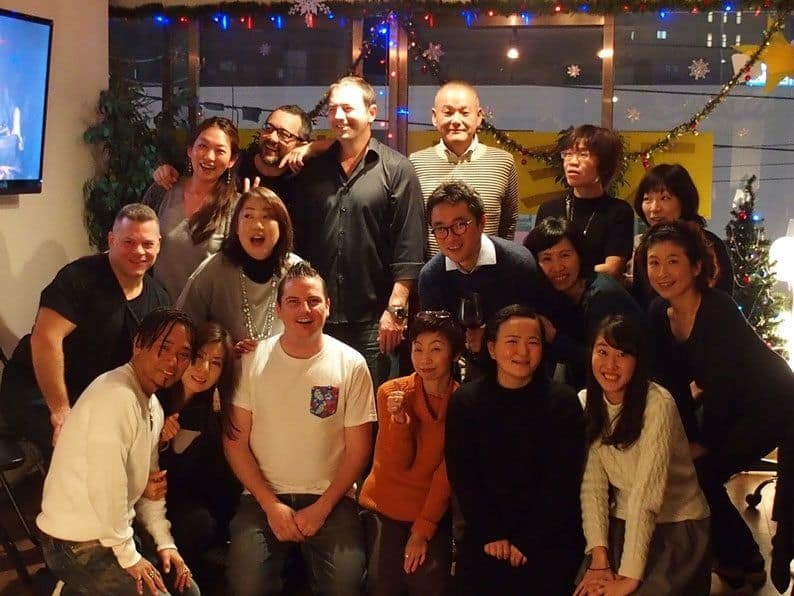 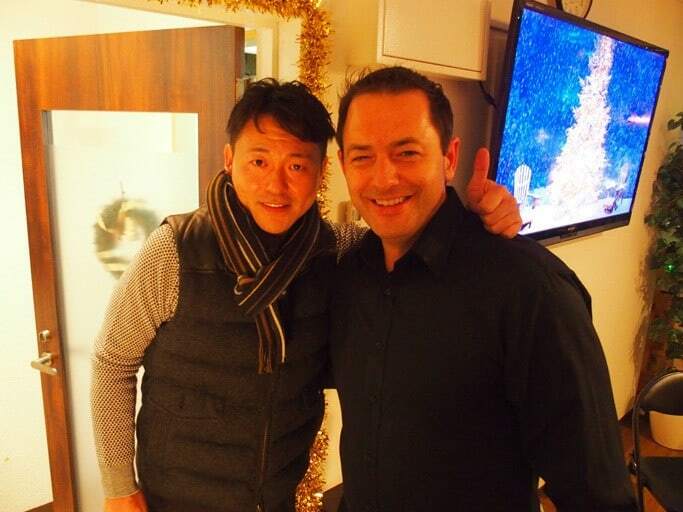 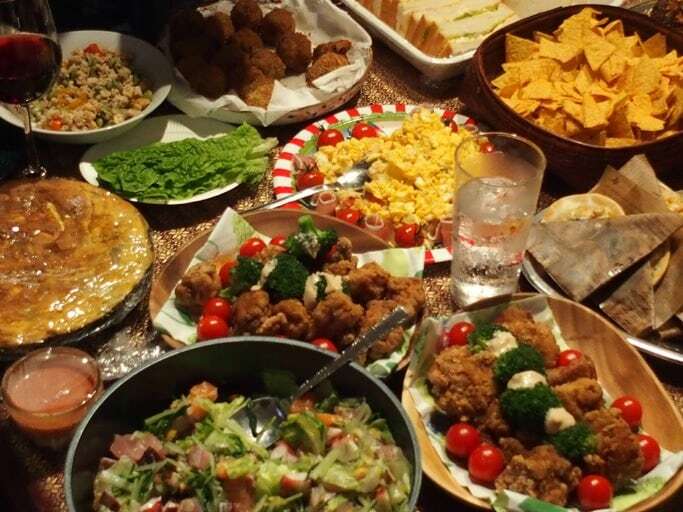 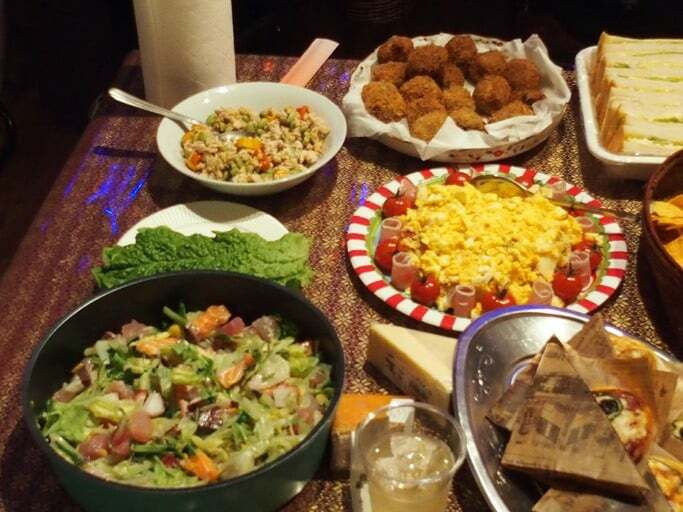 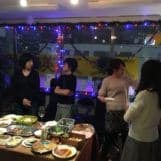 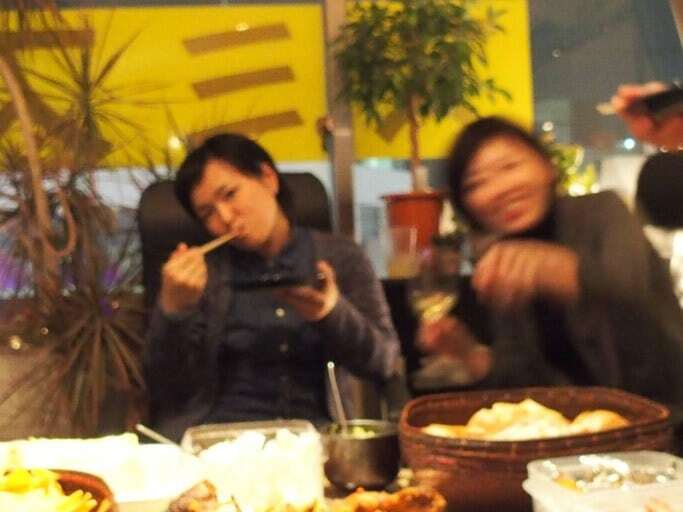 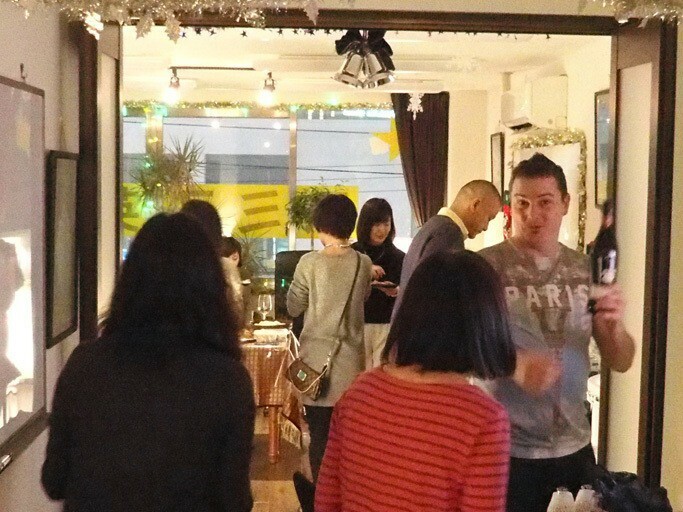 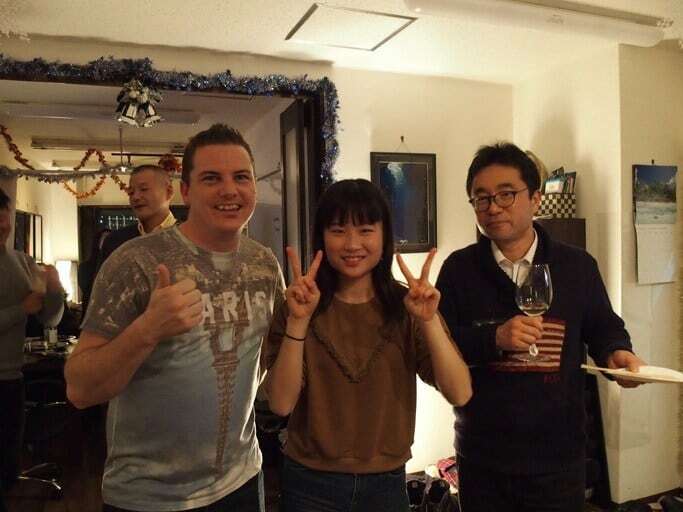 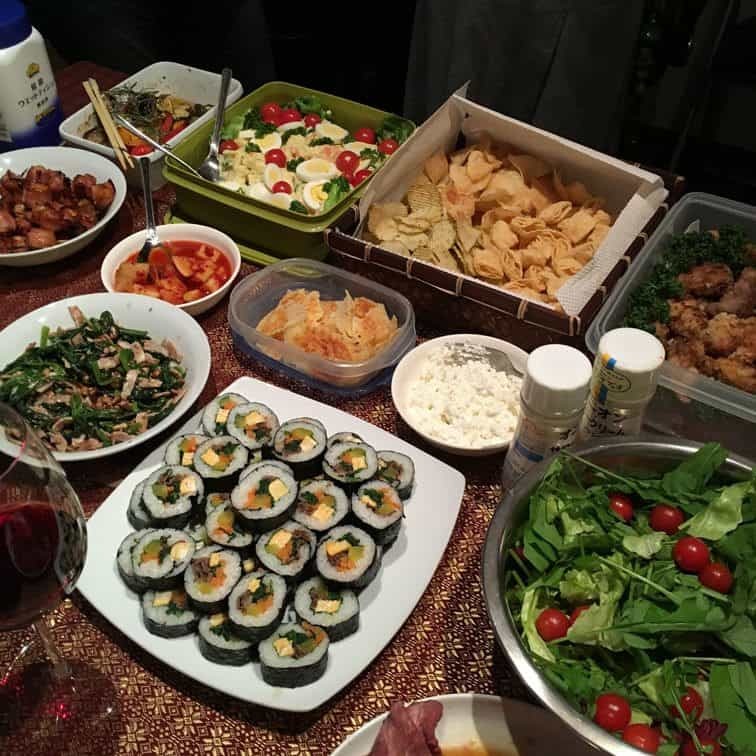 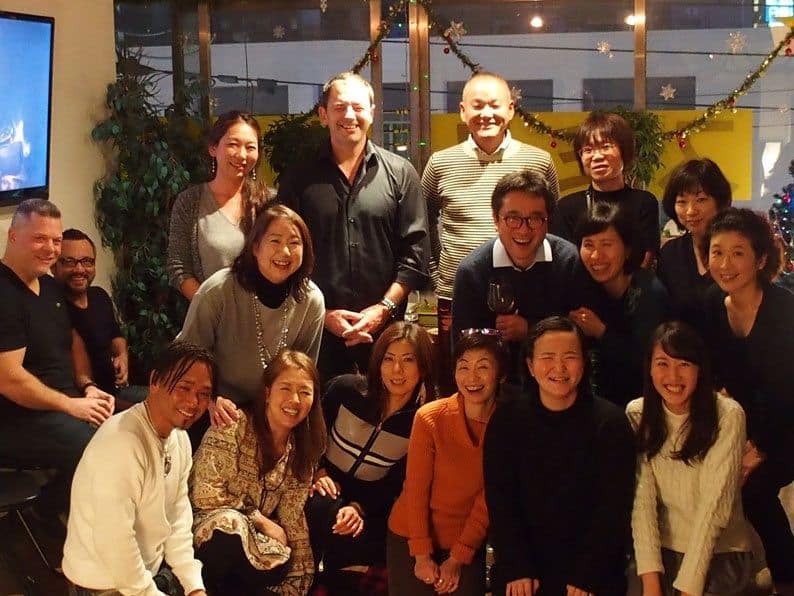 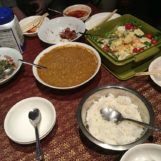 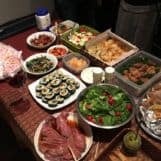 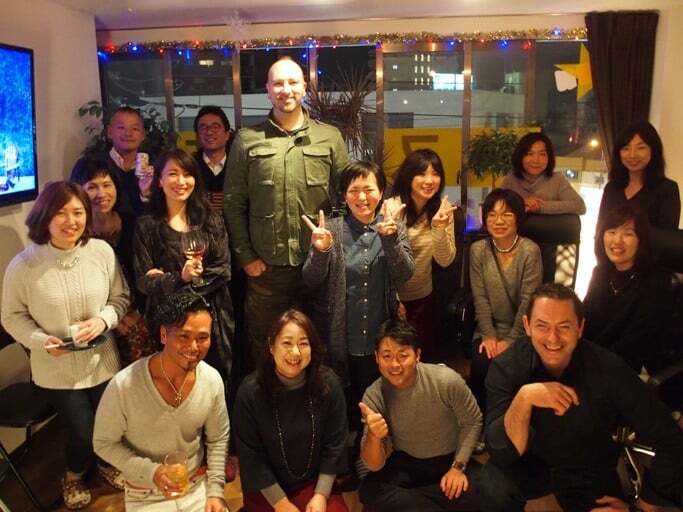 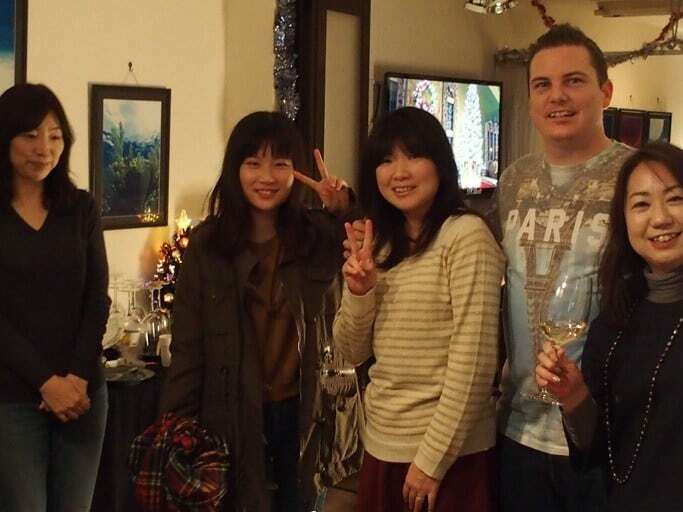 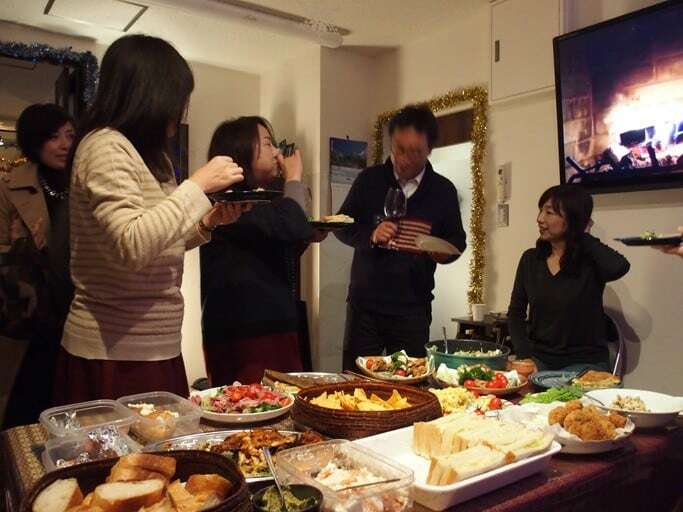 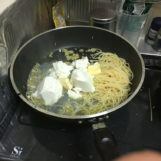 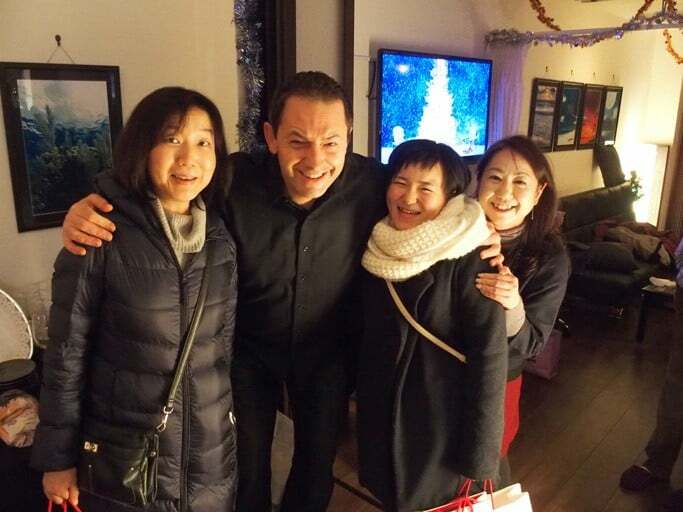 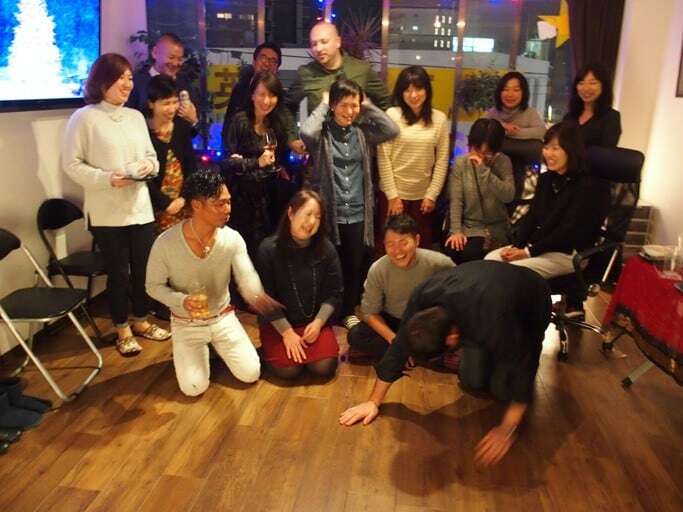 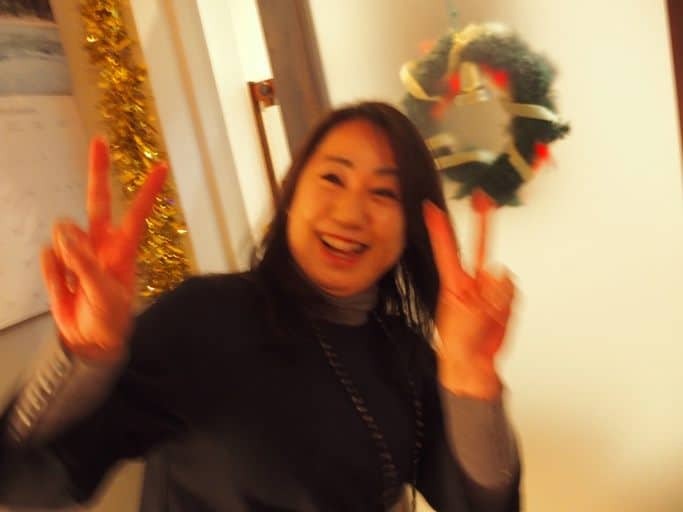 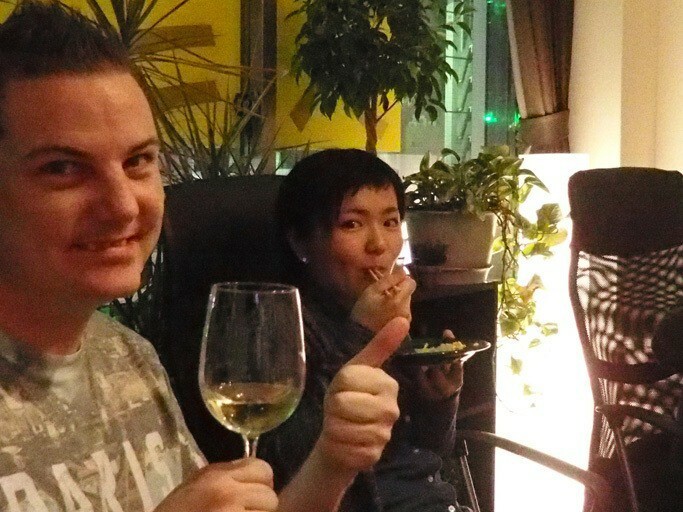 Everyone had a great time eating, drinking and chatting in both English and Japanese. 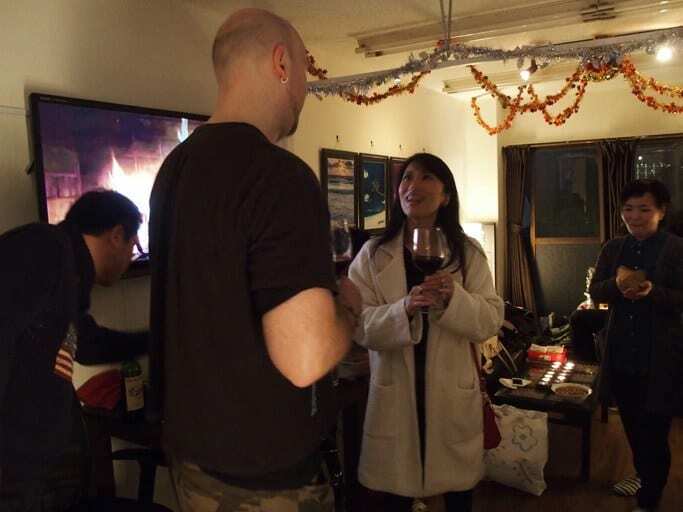 At the end of the party, we had a surprise visit from Santa Claus!! 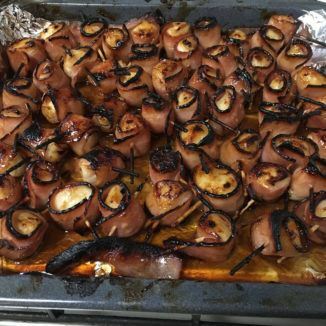 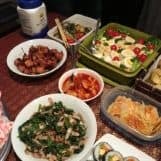 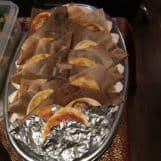 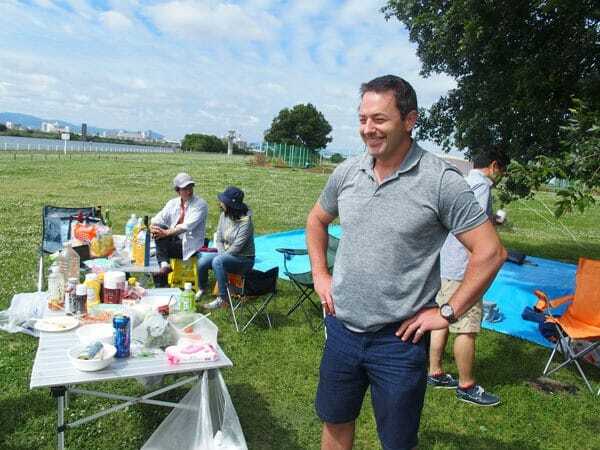 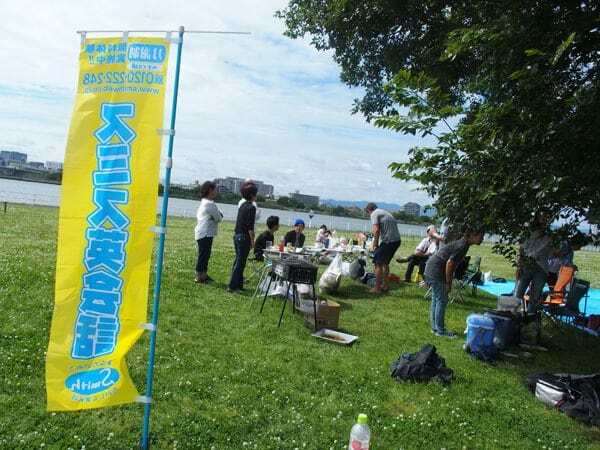 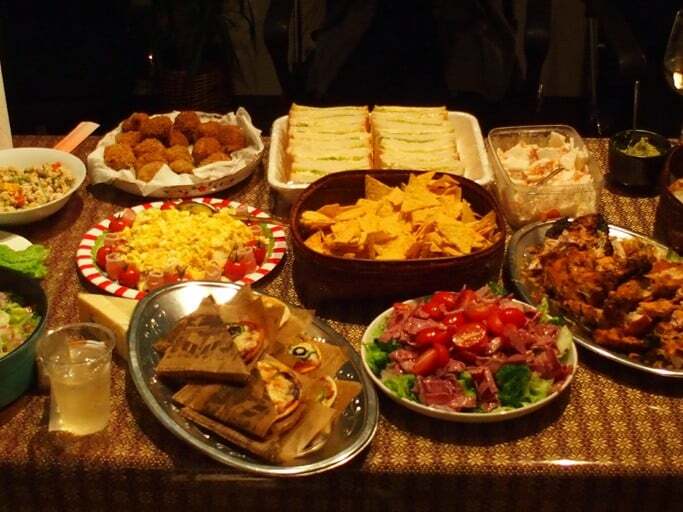 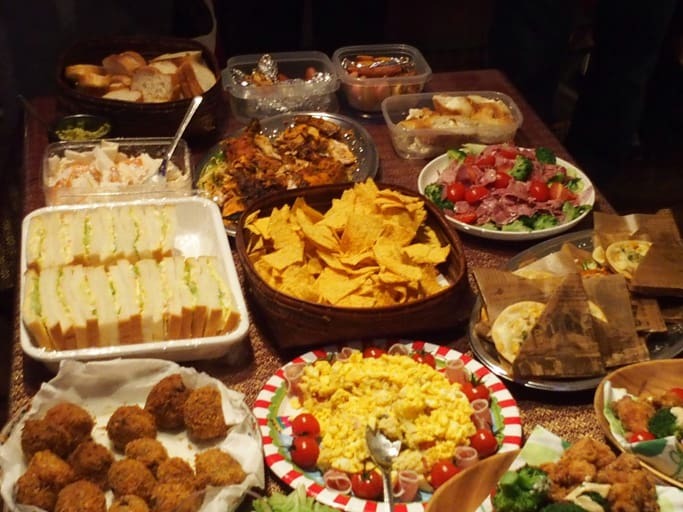 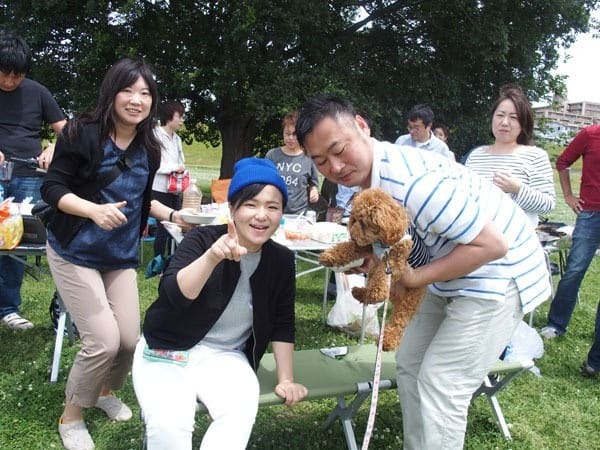 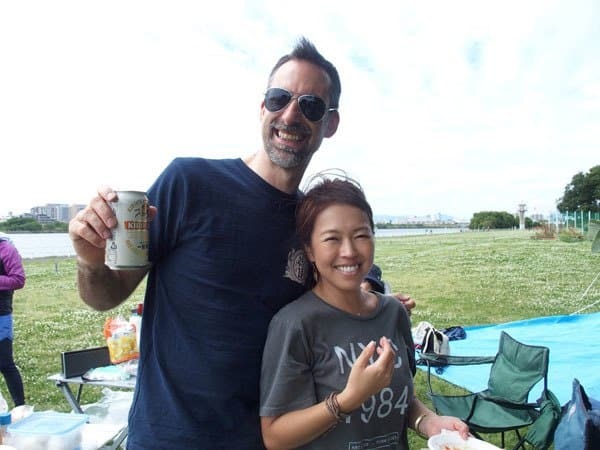 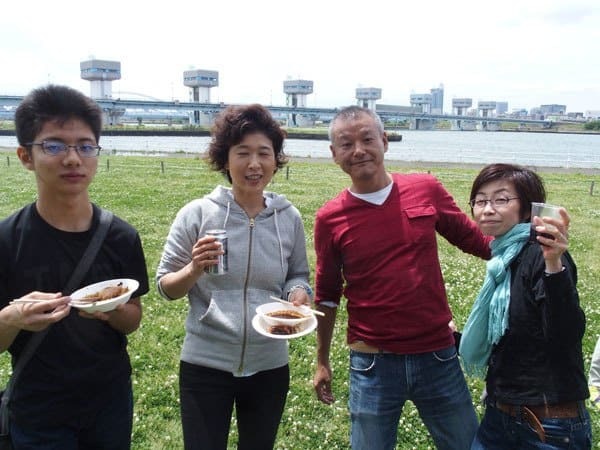 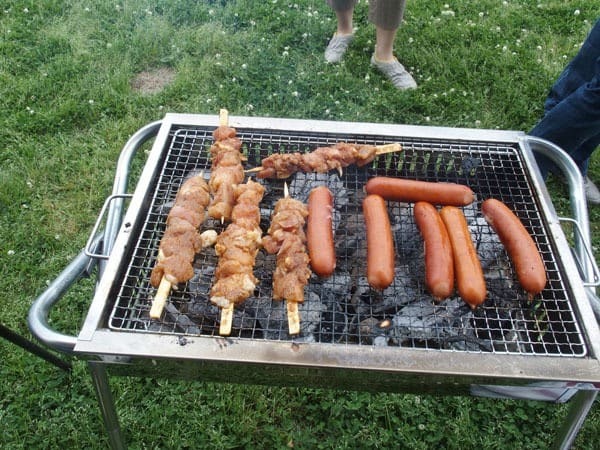 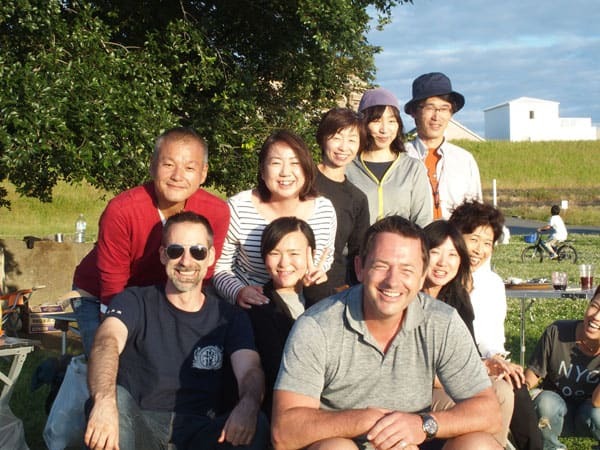 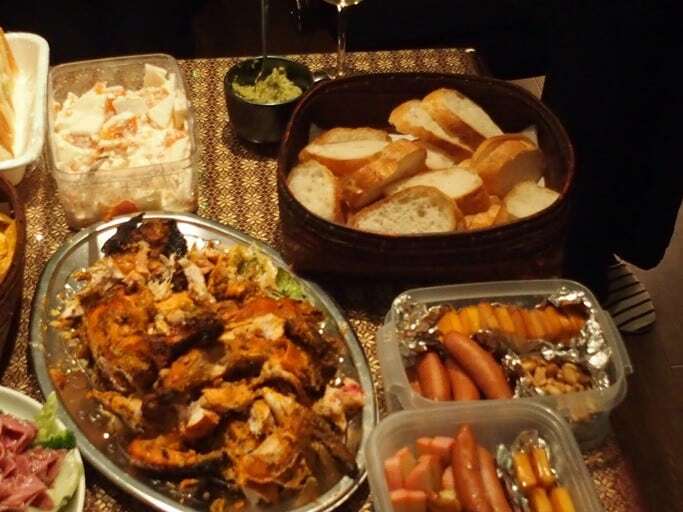 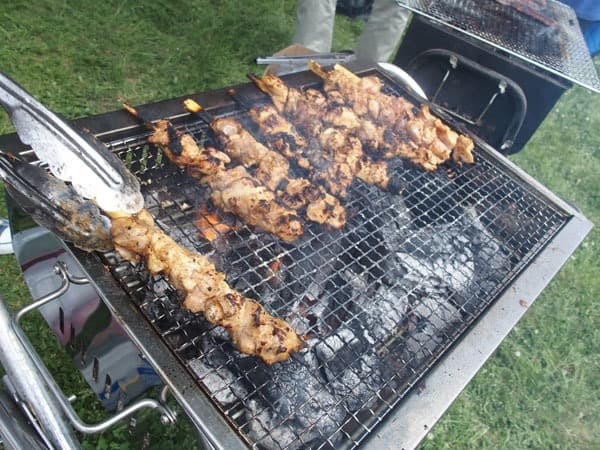 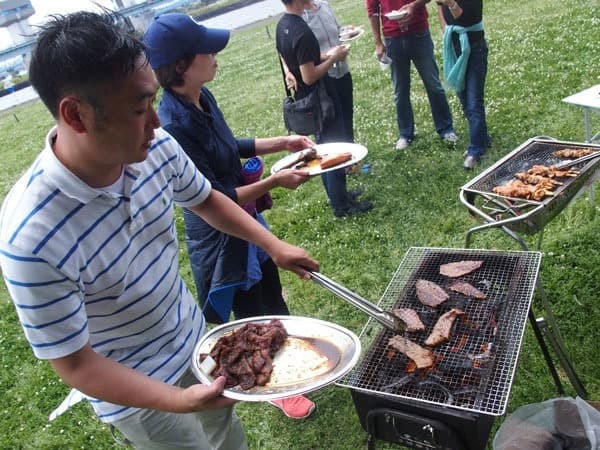 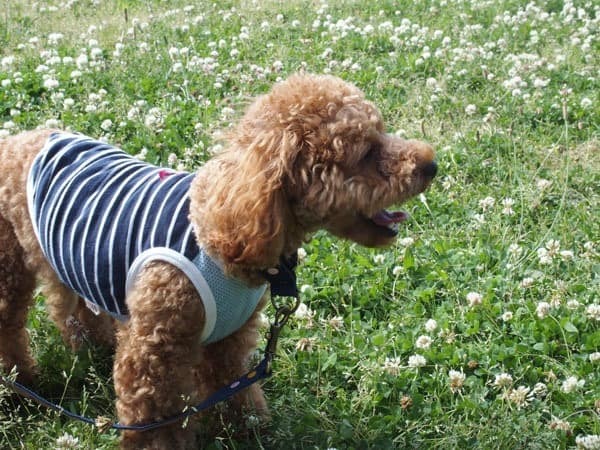 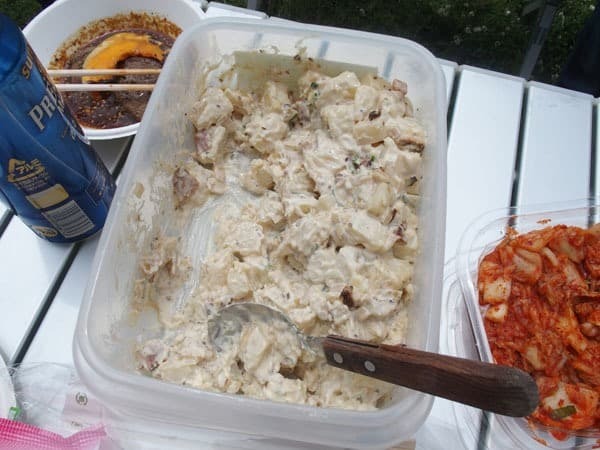 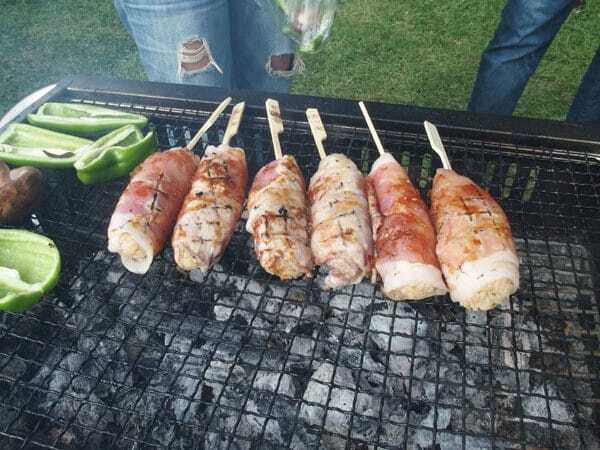 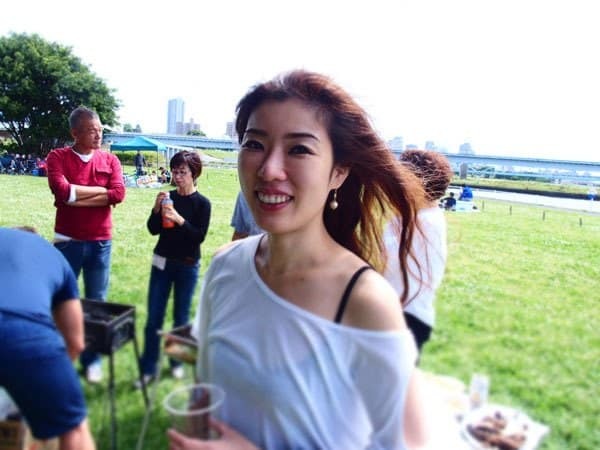 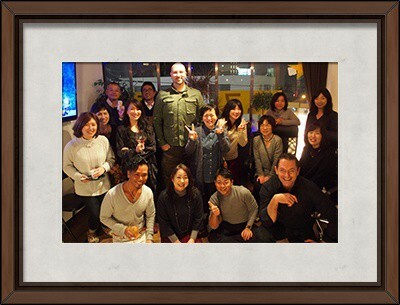 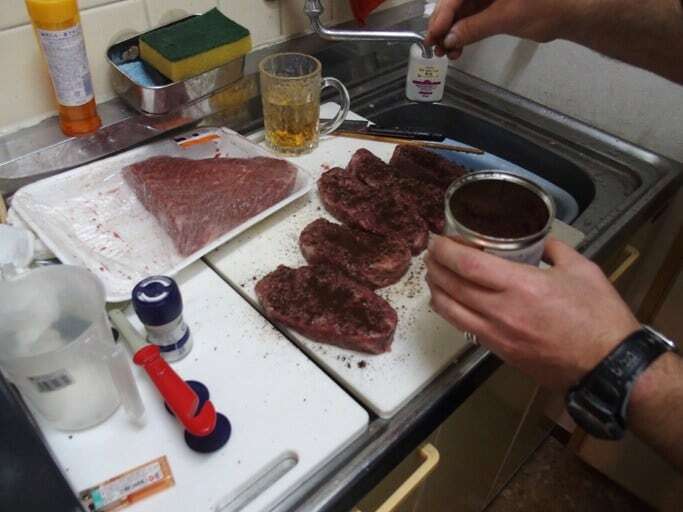 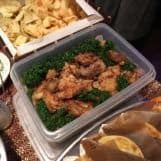 The first Smith’s School of English – Miyakojima BBQ was held on Sunday, June 5th. 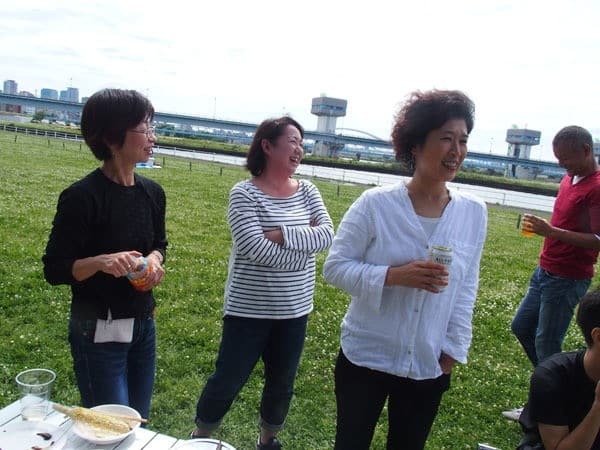 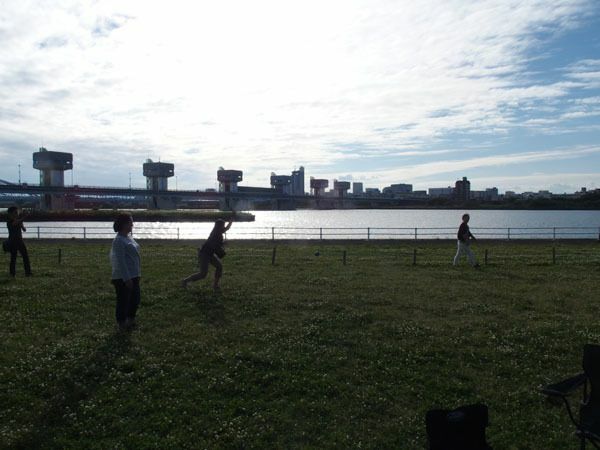 Twenty of my English conversation students from Miyakojima gathered at the Yodogawa Kasen Park in Kemma, Osaka. 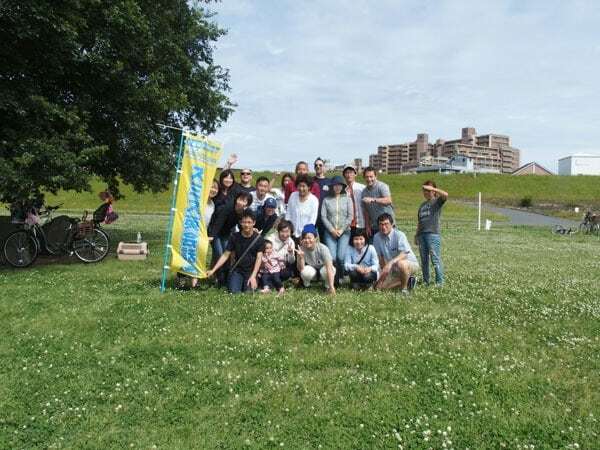 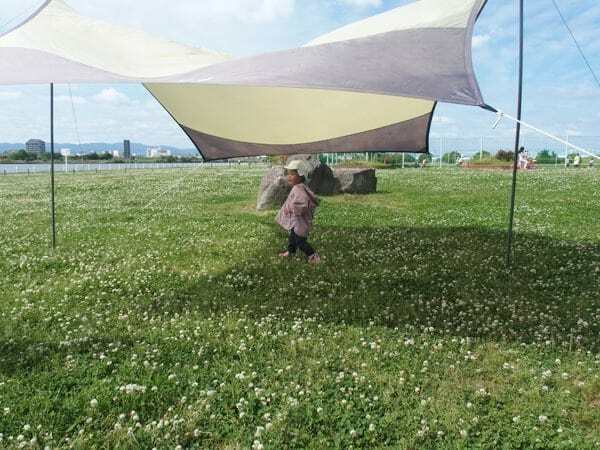 It rained in the morning before the BBQ party started, but luckily the rain stopped and the skies cleared in the afternoon and the weather was beautiful! 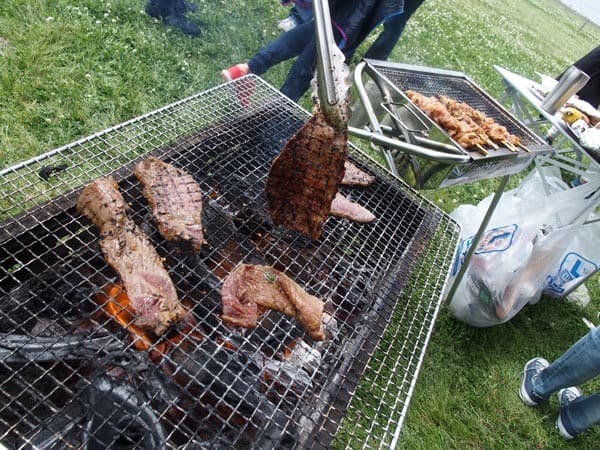 The menu for the BBQ party was grilled beef from Morita Meat Shop with homemade yakiniku sauce, potato salad, jerk chicken on skewers, rice wrapped in pork, spare ribs, bratwurst hot dogs, kimchi, fresh grilled corn, grilled assorted vegetables and delicious fresh fruit tomatoes from Maizuru, Kyoto. 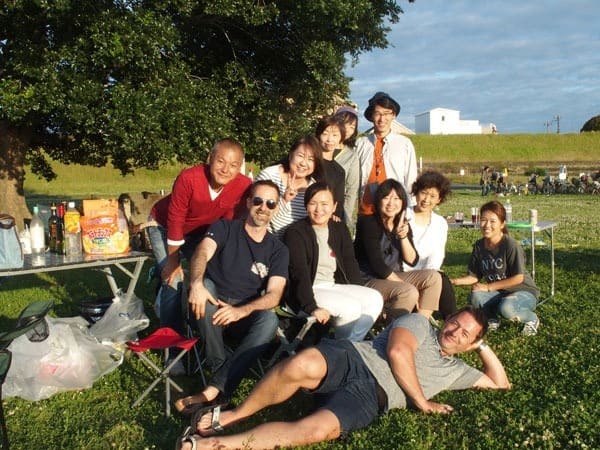 Everyone enjoyed eating, drinking, practicing English conversation and playing bocce (a ball throwing game). 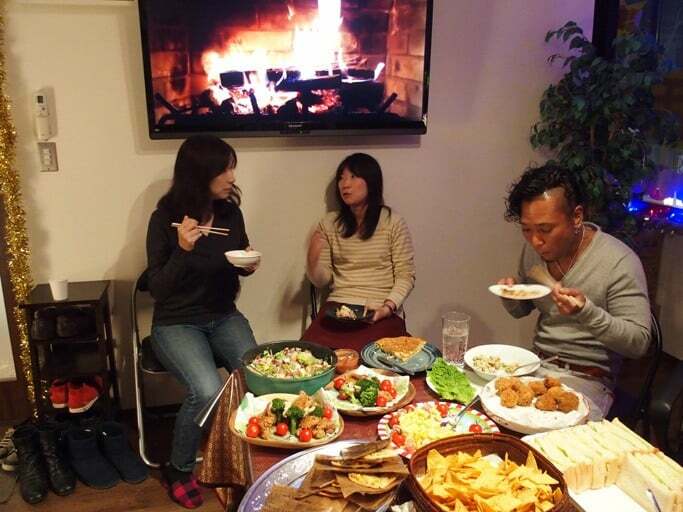 It was a wonderful day of food and fun and English!! !